The Green Festival is a consumer show in Washington DC focusing on sustainability education and green products and services. More than 300 exhibitors will showcase a wide range of products, services and resources in all things earth-friendly – from organic food, fashion, health, children’s toys and pet care to eco-travel, energy and transportation. Three days of activities, workshops and special presentations educate the public on healthy lifestyle choices, including The Green Kids Zone, where youngsters can enjoy recycled crafts and educational exhibits, culinary workshops featuring delicious vegetarian cuisine, a robust schedule of yoga classes, an organic food court and beer and wine garden. Fri, 12-6 p.m., Sat, 10 a.m.-6 p.m, Sun, 10 a.m.-5 p.m. This year’s festival features healthy eating, vegan/vegetarian cooking demos, the latest on super-foods, juicing and eating for a healthier lifestyle, enjoy a full meal in the vegan/vegetarian food court with beer and wine and several dozen exhibitors featuring organic, artisanal, non-GMO, gluten-free and vegan/vegetarian food and beverage samples.The Festival will also feature expert speakers and panels on topics including eco-fashion, GMOs, green business, Fair Trade, urban gardening, renewable energy and more. 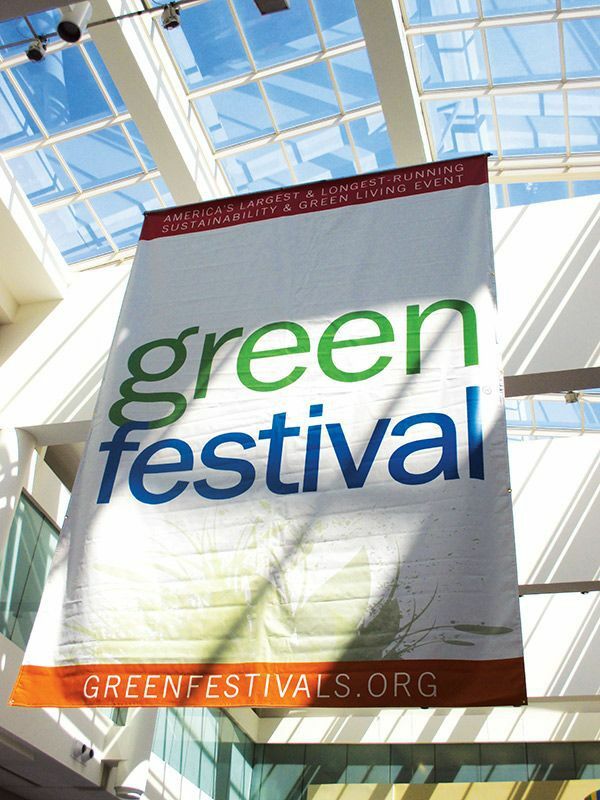 Green Festivals, Inc. organizes Green Festival®, America’s largest and longest-running sustainability and green living event. Green Festival is a vibrant, dynamic marketplace where companies and organizations come to showcase their green products, services and programs, and where people go to learn how to live healthier, more sustainable lives. Green Festival is inspiring and empowering consumers, communities and businesses to work green, play green and live green. Based in Asheville, North Carolina, the organization produces Green Festival events in Chicago, Los Angeles, New York, San Francisco and Washington DC.